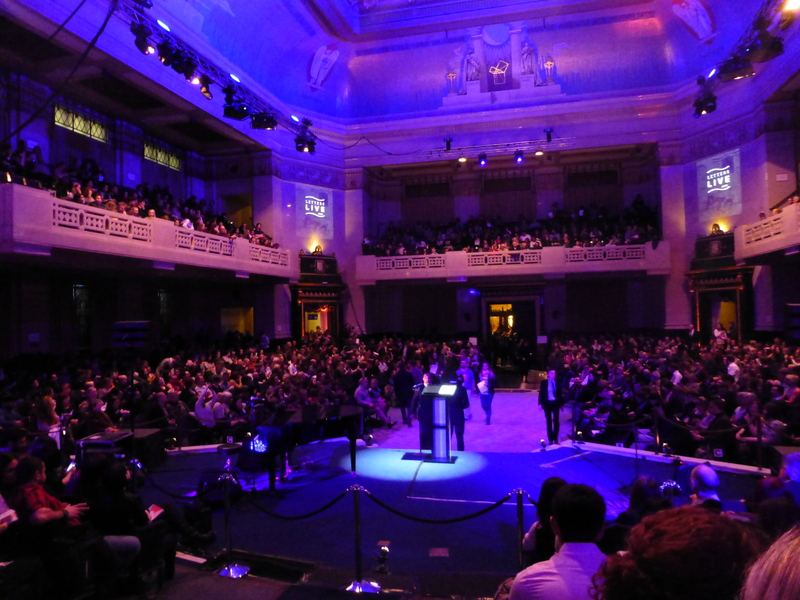 As well as celebrating Shakespeare’s 450th birthday this year, 23rd April also marked World Book Night, an annual celebration of reading and books. It is one of many programs run by The Reading Agency – a charity whose mission is to give everyone an equal chance to become a reader. Last month saw the 4th Letters Live event, which is inspired by the books To The Letter by Simon Garfield and Letters of Note by Shaun Usher and is designed to bring together actors, musicians and writers to celebrate “the enduring power of correspondence”. During the two-hour event, a selection of letters written by notable figures across history were read aloud, capturing a spectrum of emotions. 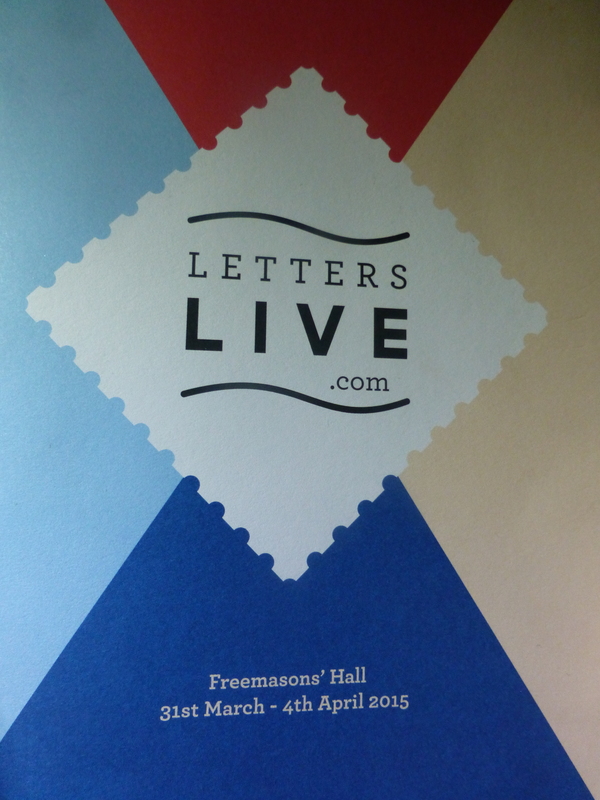 As an audience member, listening to these wonderful snapshots into various lives at different periods of history was an exciting, entertaining and insightful experience and I can see why the Letters Live events continue to grow in popularity. As this event we were treated to 27 letters, two with related music (more on that later) and it was an eclectic mix of styles, topics and writers – everything from love letters to recipes from royalty was included. 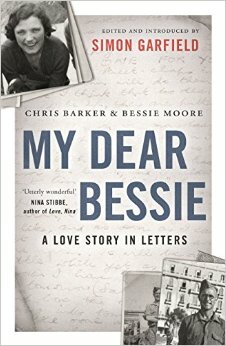 Some of my favourites from the evening included the beautiful and touching love letters between Chris and Bessie in 1945. Written during the war, Chris is stationed somewhere in the desert and we hear through their words their growing affection for each other and how much they look forward to being with each other again. In this modern, electronic age of communication, not many people write letters and it was quite moving to gain a glimpse in to what it was like during war to be separated and use the beauty of words to maintain a connection. We heard two letters from each of Chris and Bessie, both read as a pair on stage by author David Nicholls and Sherlock actress Louise Brealey. They each conveyed the beauty of the affection between them perfectly, and having them on stage together was a wonderful way of visually linking them together. I would have loved to have heard more from them. In a rare insight in to a less formal monarch, we also heard a lovely letter from a young Queen Elizabeth II in 1960 to President Dwight Eisenhower, in which she provides him with a requested recipe for drop scones after a visit to Balmoral. Picturing the Queen baking was a nice image and Morgana Robinson’s voice was very good! The talented pianist James Rhodes read two letters by famous composers as well as playing a piece by each of them afterwards. The first was a letter from 8 year-old Frederick Chopin to his father – very short but with the use of words such as eloquent it’s clear this was a very clever child. We then heard James play Chopin’s Nocturne in C Minor Op 48/1. Later he read a love letter from Schumann to a girl called Clara in 1838. Apparently he wrote her 165 songs in a year and James treated us to one of them – Widmung (“Dedication”) trans. Lizst. The inclusion of these gorgeous musical interludes added an extra dimension to the event. Another gem was the letter written by 11 year-old Grace Bedell to presidential candidate Abraham Lincoln in 1860, in which she says how much she wants him to win, but wonders if he has considered growing whiskers (a beard), as she thinks it would improve him and endear him to the voters! Kerry Fox read this sweet child’s letter wonderfully and it was followed by Andrew Motion’s reading of Lincoln’s response to her the same year, questioning whether people would “call it a piece of silly affectation” if he were to begin to grow a beard now! We also learnt she met him in person a few months later, as he travelled victoriously to Washington DC by train – now with whiskers! The special guest (unannounced in the programme) was Stephen Fry, who read two great letters by Oscar Wilde and Mark Twain. 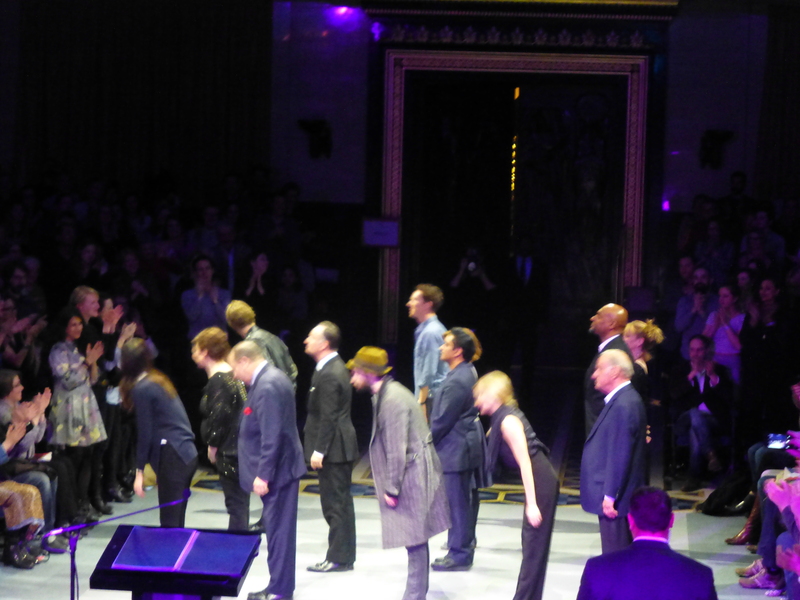 We also had an impromptu addition from Russell Brand, who had been on the lineup but dropped out, only to appear. He read a letter from Mick Jagger to Andy Warhol from 1969, discussing Warhol’s work for the Stones’s latest album cover. As you can see it was an illuminating evening, giving an insight in to well-known names across the decades, which also crucially highlighted just how special writing and reading is. It’s quite magical to hear letters from the past and realise that this is something that we should treasure and try and encourage for the future. Reading emails just isn’t the same (but I’m also an advocate of books over e-books too)! I certainly enjoyed my evening at the Southbank Centre and will definitely go along to future Letters Live events, as I don’t think we can celebrate enough the power, beauty and emotion we can evoke through the written word. If you are able to attend a future event it’s sure to be a memorable night! To The Letter by Simon Garfield and Letters of Note by Shaun Usher are both available from all the usual book stockists and include the letters included at the event, plus many more.